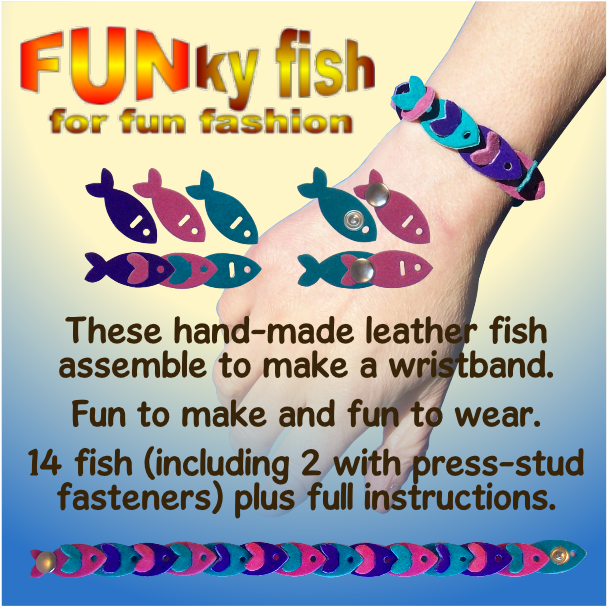 These handmade leather fish assemble to make a beautiful wristband. 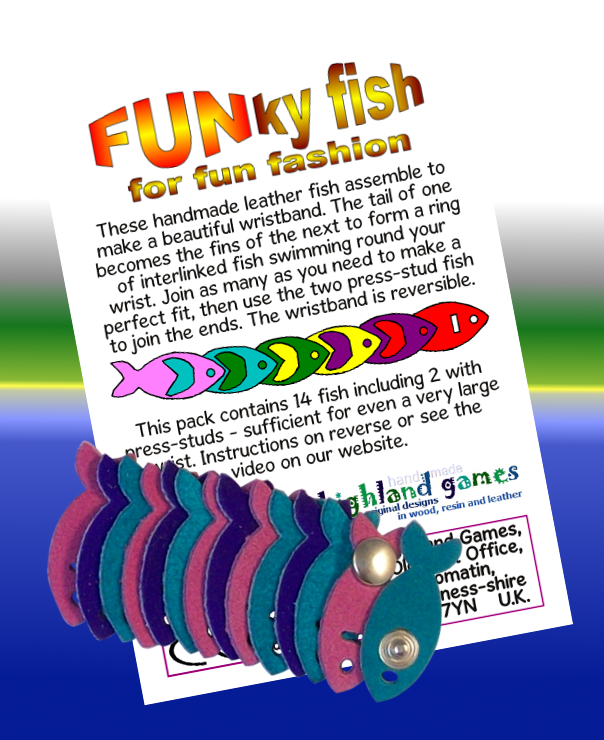 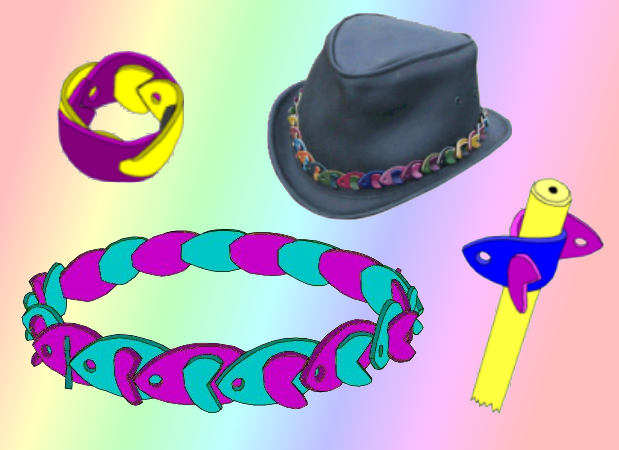 The tail of one becomes the fins of the next to form a ring of interlinked fish swimming around your wrist. 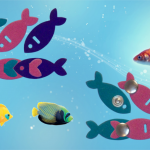 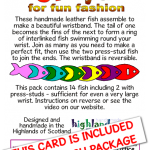 Join as many as you need to make a perfect fit, then use the two press-stud fish to join the ends. 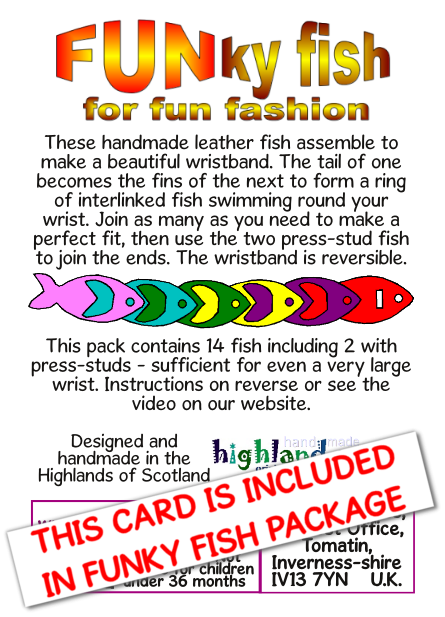 The wristband is reversible. 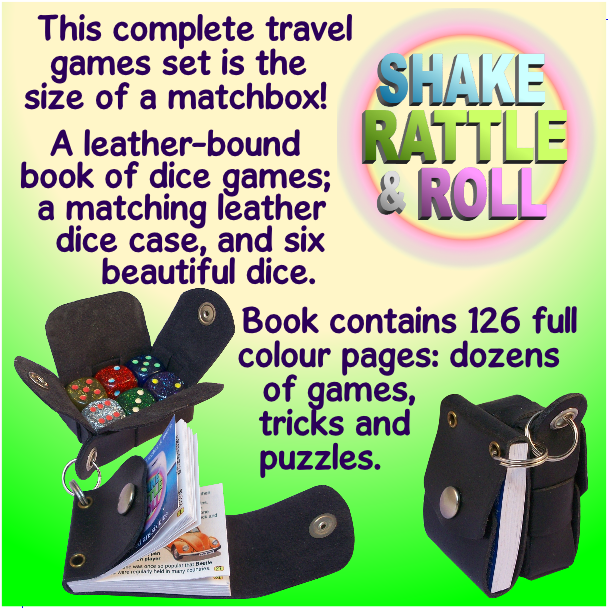 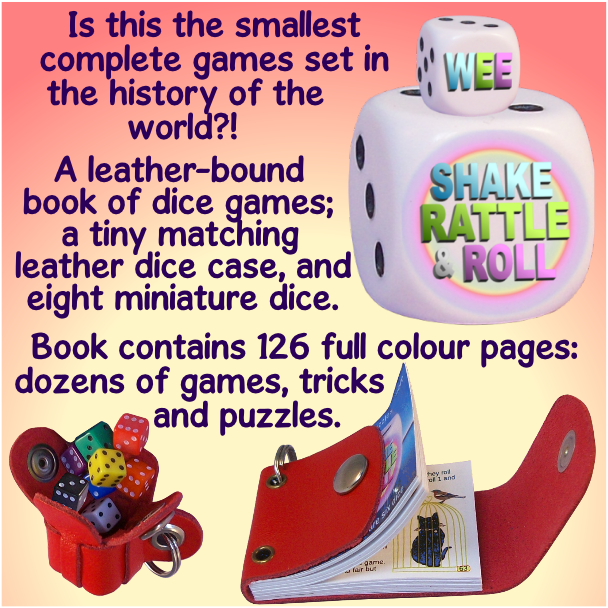 It makes a great gift for girls and boys, young and old. 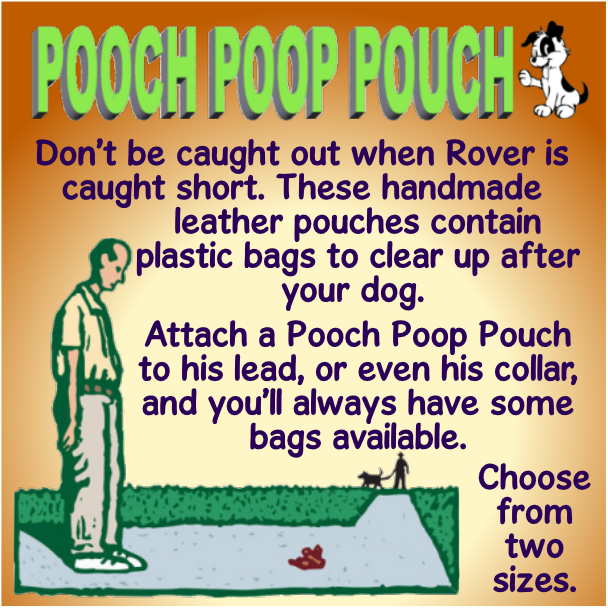 The leather is strong and resilient. 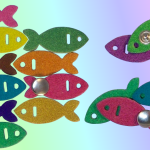 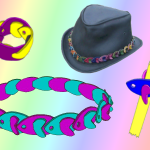 You can take the fish apart to re-arrange the colours, or to make other things. 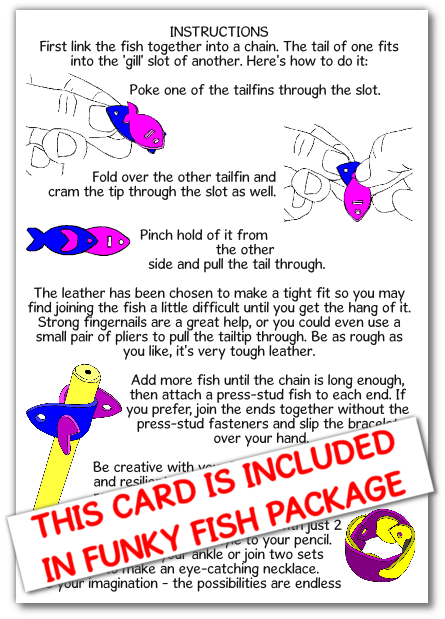 Jazz up your pen or pencil with 2 intertwined fish. 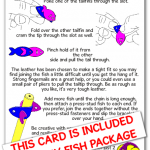 Link 4 together and turn them inside out to make a very unusual ring. 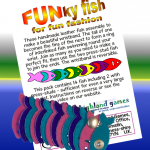 Funky Fish are for FUN! 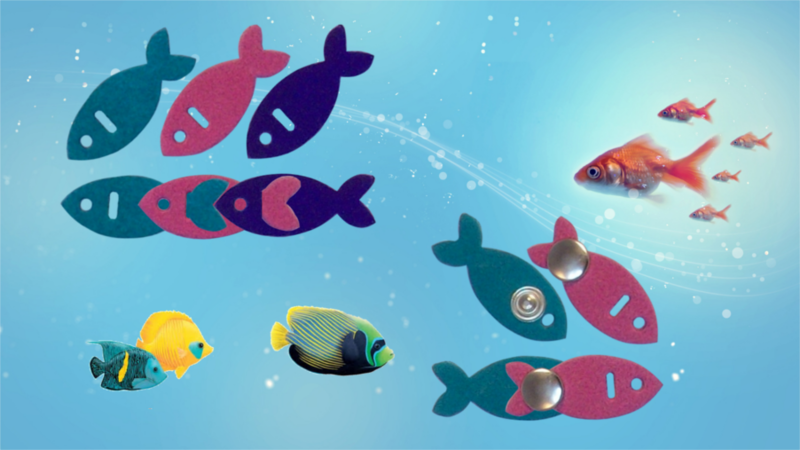 Each set contains 14 fish including the 2 with press studs. 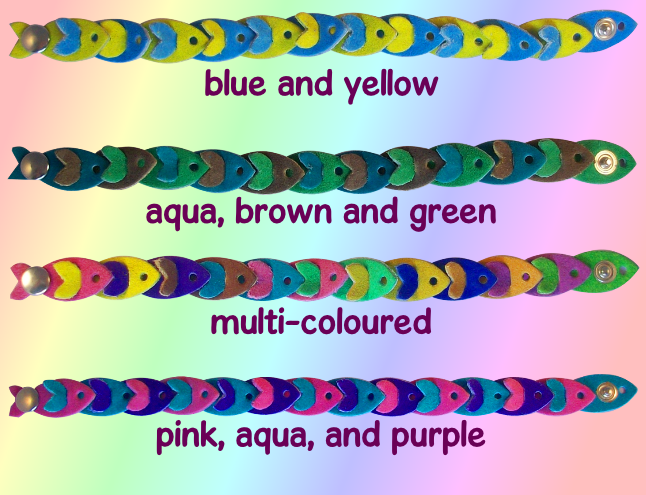 If you join them all together, you can make a chain 28 cm (11 inches) long, more than enough to go round the biggest wrist. 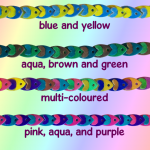 How about joining 2 sets together to make an eye-catching necklace or headband?